A Bootle organisation has added a new European-funded project to its portfolio. Social enterprise Regenerus – based in the Investment Centre on Stanley Road in the town centre – is the lead partner in the Unravel Tomorrow initiative, working alongside organisations in Portugal, Denmark, Italy, Germany and Latvia. This is the fourth project funded by the Erasmus+ programme of the European Union that Regenerus has been involved with in recent years. The objective of Unravel Tomorrow is to learn from – and connect up – the social innovators, entrepreneurs and activists who are developing new products and services, and new ways of working, to shape a better future. It builds on the success achieved by the same partners with the previous Tomorrow’s Land project, which explored how social innovation and the collaborative economy could help to achieve positive social change and ultimately a more inclusive society. The focus of these new ways of working is on creating solutions that are more effective, efficient, sustainable or just. And in addition, when value is created, that it should benefit a community or society as a whole, rather than simply generating profits for owners or shareholders. Building on Tomorrow’s Land, the new project will take things a stage further by producing physical and virtual materials, and arranging workshops and conferences, that will link aspiring change makers with the skills, resources and perspectives that will enable them to ‘Unravel Tomorrow’. Partners are currently busy conducting in-depth interviews with more than 30 pioneers from across Europe, who are creating new ways of working, to learn from best practice initiatives and gather their insights into possibilities for the future. The results will be captured in the ‘Faces of Tomorrow’ catalogue. 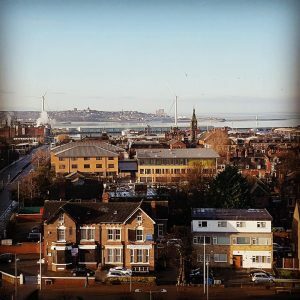 And in May Regenerus will host an international learning experience for aspiring social entrepreneurs from across Europe, showcasing some of the best of the social economy across Liverpool City Region. Ruth Livesey of Regenerus commented: “After developing a very good relationship with our European partners on Tomorrow’s Land we’re delighted to be working with them again on this new project.